Bradley Beal said earlier this morning that he thought Washington was ‘the best team in the east.’ This past postseason, Beal and Richard Jefferson got in a Twitter beef because he thought the Cavs were ducking them. Well, LeBron James set the record straight tonight. James scored a season-high 57 points to go along with 11 rebounds and seven assists as the Cavs beat the Wizards 130-122 and stop their four-game skid. Bradley Beal was terrific tonight scoring 36 points on 12-19 shooting tonight however his performance was clearly overshadowed. John Wall had a very rough shooting night as he was just 4-13 from the field for 13 points but did dish out 15 assists. Washington has struggled mightily on the defensive end this season. And tonight, James and the Cavs blew the lid off. The Wizards gave up 121 points to the lowly Suns the other night and you knew that if they didn’t clean things up and quickly, it would be an uphill battle. Well, they did absolutely nothing to make one think they care the slightest bit on the defensive end. Cleveland was scorching hot from the field in the first quarter going 17-22 from the field as they scored 42 in the opening period. Washington wasn’t locked in, they weren’t rotating, weren’t boxing out, and well, weren’t really doing anything well defensively tonight. Late in the game, John Wall was the primary defender on James. And although he did an ok job on him, the Wizards never opted to double-team him until after the game was already out of hand. Couple that with coach Scott Brooks’s decision to go with an all-reserve lineup really made you scratch your head at times. When you give a defensive effort like this, of course, you’ll give up 130 points. Don’t let Wall’s stat line fool you, he didn’t play that great of a game tonight. Wall’s struggles from the field continue as he was just 4-13 and missed all three of his three-point attempts. There were a couple of occasions where Wall drove and didn’t get the call so he continued to try and force the issue. As a result, he missed guys for open shots as his head was down trying to barrel through the lane for a call. Things got uglier when he got to the line. Wall was just 5-12 (42 percent) from the free-throw line tonight. That’s bad. Really, really bad. Kelly Oubre Jr. scored a career-high 21 points while also knocking down a career-high five three-pointers. Oubre was terrific off of the bench for the Wizards and added a much-needed scoring punch. However, it looks like Oubre might be a little lighter in the wallet after tonight. Mike Scott continued to play well scoring 12 points off the bench. Scott’s hot streak started in Sacramento and has carried over into these past two games. Having an extra big man could be very valuable down the road. Ian Mahinmi is a lost cause and he probably shouldn’t be seeing too much more action. Mahinmi played just 12 minutes tonight but committed two turnovers and racked up four fouls in his limited play. No need to beat a dead horse, you already know, there’s not a whole lot that Mahinmi can do well right now. 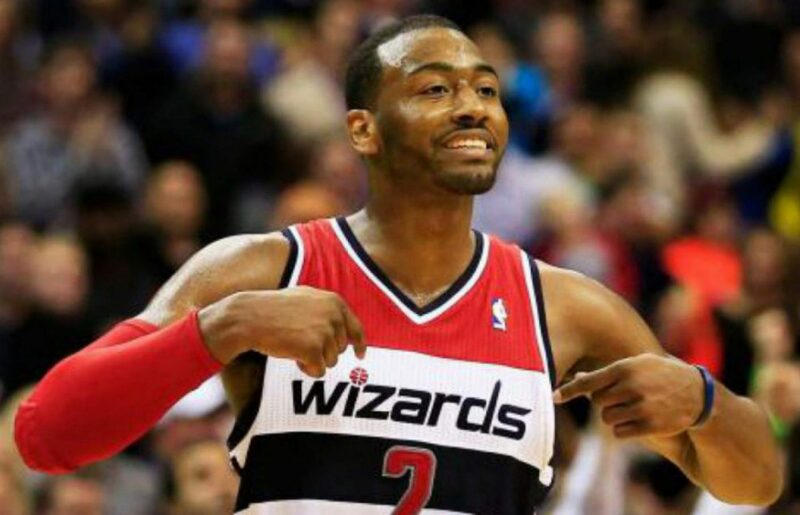 The Wizards head north of the border to take on the Toronto Raptors Sunday night.